Q: Are your dogs housebroken? A: The majority of the dogs we place in homes are in the 1-3 year age range. These dogs tend NOT to have any major problems with housebreaking once they are in homes and receiving proper training. We urge our adopters to crate train their new friend and to put them on a schedule where he/she is taken outside 20 minutes after eating or drinking. Q: What kind of breeds do you have? A: When a dog is first brought in, the vet gives a general idea of the mix or breed of the dog. The input of volunteers is also considered. If we have papers for a purebred dog, we will provide them upon request. We can never know for certain what mix or breed a dog that has been living in the streets is exactly. However, we do give you our "best guess". The best thing to do is to come out and meet our dogs. Their personalities will charm you, regardless of their mix! Q: I live outside of NYC. Can I adopt one of your dogs? A: For Our Friends, Inc. prefers to adopt its dogs to people living in the tri-state area. It is our hope that those reading this from places outside the tri-state area, will contact their local rescue groups. Q: What is involved with the adoption process? A: Potential adopters will be asked for a veterinary reference, if possible. We will also inquire about previous dog experience and go over the dogs currently available for adoption. Based on a satisfactory reference, we will set up a meet and greet. All members of the household must be present for this, including any current dog(s). Q: What if I’m a first time adopter? A: Three personal references will suffice in the event that a potential adopter has no veterinary reference. Throughout the entire adoption process, we will discuss housebreaking and training procedures at length. Q: Okay! Sounds great. What’s the next step? A: If one of our adoptable friends is a match for you, an adoption agreement will be signed by you, the new owner. This agreement states that your new friend will be treated humanely (given food, shelter and veterinary care) and will wear all necessary identification tags at all times. The agreement also stipulates that, should this adoption ultimately not work out, For Our Friends will take the dog back for any reason, at any time, no reservations. Q: What is the actual day of the adoption like? A: Our volunteers will do a home delivery on the day of the adoption and do a walkthrough of the entire home with you and the dog. We will provide a physical copy of the dog’s medical records and review any dietary or medical needs. All dogs are delivered with an initial set of supplies including: food, leash, harness, crate. Q: What are adoption costs? 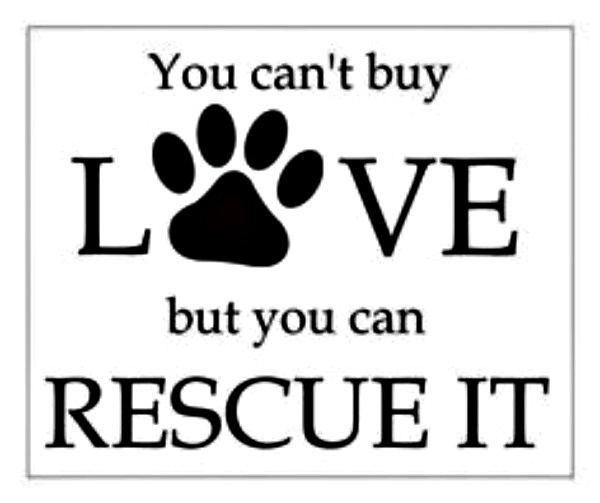 A: For Our Friends must ask a donation at the time of adoption in order for us to continue our rescue work. The fee is $250 for a mixed breed dog (the majority of our dogs) and $300 for a purebred dog. The adoption fee for a senior dog is discounted, and depends on the age of the dog. All adoption fees are refundable if the dog is returned within the first 30 days following adoption. Q: What if I need help with my newly adopted dog? A: We are always available to answer any questions and concerns. If necessary, we can set up training sessions with our dog trainer for any problems that require a more personalized approach. For Our Friends respectfully asks that any newly adopted friend be allowed to adjust to their new home, and our volunteers will gladly help you throughout the process and beyond. A: Download this application and adoption survey.